EE’s 4G coverage today reaches almost three quarters of the UK’s landmass and this will extend to 95 per cent of the country by 2020. ASDA Mobile expects to switch its customers across from 3G to 4G services during the spring. This fully managed service has allowed ASDA Mobile to achieve award winning customer service levels over the past year, with the virtual operator earning a Recommended Provider rating from Which?. Founded in the 1960s in Yorkshire, Asda is one of Britain’s leading retailers. It has more than 165,000 dedicated Asda colleagues serving customers across 606 stores, including 33 Supercentres, 336 Superstores, 33 Asda Living stores, 204 Supermarkets, and we’ve 26 depots and 18 Stand Alone Petrol stations. Its main office is in Leeds, Yorkshire and its George clothing division is in Lutterworth, Leicestershire. 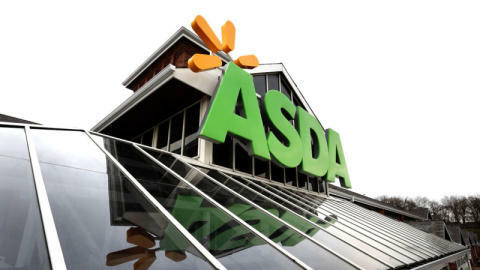 More than 17 million people shop at Asda stores every week and 98 per cent of UK homes are served by www.ASDA.com. Asda joined Walmart, the world’s number one retailer, in 1999. Asda’s Price Guarantee (APG), launched in 2011, gives customers the reassurance that a basket of groceries will always be 10 per cent better value than competitors, otherwise Asda will refund the difference. Powered by MySupermarket.co.uk, the APG is the only independent, transparent online grocery price-checker in the world.